Effective leadership involves a number of key components, including a clear understanding of the talents and skills your organization needs, as well as effective strategies for developing your unique culture and attracting, retaining and supporting key personnel. The B2B CEO cannot underestimate the importance of leadership strategy and development to the growth of the enterprise. 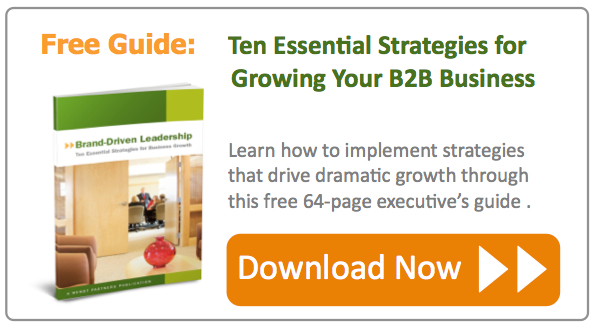 Simply put, in the B2B world, effective leadership is the cornerstone upon which scalable growth is built. 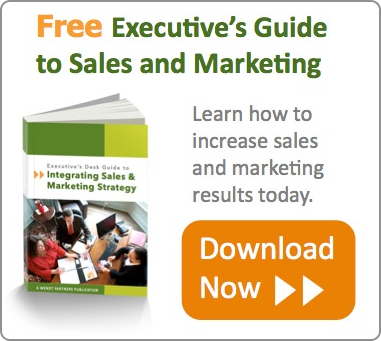 And, along with sales, marketing and business strategy, it is one of the four essential elements for business success. The StrategyFirst Action Assessment is a complete but carefully designed evaluation that can be performed in as little as 30 days, and is focused specifically on preparing to drive new revenue growth in your business. Every assessment process is unique, just as every business is unique. However, at its core the StrategyFirst methodology works because it is rooted in a series of key factors that can guide future efforts to grow business impact. As the CEO of your business, you need to both provide executive coaching and guidance to your team, and find partners and resources you can rely on to give you effective peer-based or external support. If you are to craft and guide a dynamic executive team, it's essential that you examine the strength of this aspect within your organization. How quickly and clearly do executives approach you or one another to address questions or concerns? What services and resources do you provide to ensure that your executive team members are maintaining their own skills and abilities? What gaps exist within your executive-level leadership circles today, or are it risk due to potential retirements or the loss of high-level talent to competitors? How can coaching and strategic guidance empower your executive team members to become more dynamic and responsive to marketplace changes, while they also align their teams and departments or divisions around the company's core growth objectives? Whether we're talking about onboarding front-line staff members or identifying and advancing high-potential employees for future management roles, it's essential that training and development be institutionalized at the core of your business. What core competencies and skill sets have you identified as essential to future positions in the company? How are your departments and fellow executives maintaining a clear understanding of emerging requirements and capabilities that employees will need to master? What alignments exist between employee professional development options and the career pathways and future potential options for individual employees? How can training and development be customized and used to shape and support your unique culture through the creation of a corporate university? The concept of employee culture is widely referenced, but often poorly understood. Evaluating it -- both as you want to see it and as it really is -- becomes an essential component in the assessment process. How do you 'take the temperature' of your employee culture today? What variations exist between the satisfaction and sense of direction among employees within different segments of the organization, or different departments across the enterprise? Are the institutional weaknesses and other risk factors that could upset or seriously damage the culture you are building? How resilient is your organization to future market shifts, workforce restructurings or other change events that will inevitably take place as the company pivots to meet the needs of the evolving marketplace? The value of mentoring programs as a strategic asset to the business almost cannot be overstated. Mentoring addresses three key challenges. First, it institutionalizes the employee culture strategy on a person-to-person level, allowing existing employees to shape and guide the learning and assimilation process for new hires. Second, it engages more employees in the leadership development mission of the company, dramatically deepening their sense of engagement and ownership. And third, it protects and spreads valuable institutional knowledge, reducing risk and increasing organizational resilience. How are you capturing employee knowledge or implementing knowledge management (KM) today? What processes are in place to empower, support and reward employee mentoring in the enterprise? How can you 'bake' mentoring into the talent attraction, retention and management process of the company, making it a core asset not only for onboarding but also for ongoing employee development and growth? No matter how thorough and comprehensive the business strategy, if it is not effectively communicated across the organization its usefulness and ultimate impact can become negligible. Or worse, a poorly communicated strategy can result in employee confusion, fear and distrust -- turning an essential change effort into a wrenching retrenchment that fails to achieve its goals and leaves the company vulnerable. And yet, delivering effective leadership communication is a widely shared (and often openly admitted) weakness among many CEOs and their executive teams. From effective listening to consistent meeting and information sharing strategies, and from public speaking and presentation skills to implementing communication pathways and programs the effectively and authentically disseminate the company's vision and strategy over time, leadership communication must be fully assessed and carefully planned to achieve your goals. In order to evaluate these five critical aspects of business leadership, we utilize a range of proven leadership assessment methods. These include an executive leadership audit; a review of the training and development program; a human capital strategy analysis; external benchmarking; and an internal communication review. Our goal is to look both inside and outside your business to create a realistic picture of what is and is not working in the leadership model of the firm today; what options and actions can lead to the best short-term improvements; and what pathways and strategies can drive long-term growth and a stable leadership culture. In addition, every StrategyFirst assessment includes an opening and closing strategy meeting exclusively with the CEO, and a midpoint workshop with key executive team members, focused on the leadership questions at hand. By taking one month to focus on the leadership strategy for your business (or 6-8 weeks to examine this in conjunction with other focus areas such as sales, marketing and business strategy), you can position your company to achieve successful and sustainable growth. The StrategyFirst Action Assessment will provide you with specific benchmarks and findings; a clear roadmap for moving forward; a summary action plan you can begin using right away; and recommendations for strategic decisions or opportunities that can guide your overall growth. Results experienced by clients include more consistent and reliable revenue growth; increased retention of key employees; reduced friction between internal departments; stronger employee empowerment with customers; and greater competitiveness in the marketplace for the firm. If you're ready to achieve greater growth results and lasting scalability for your B2B business by strengthening your leadership bench, contact Wendt Partners and take this time to learn how you can reach those objectives through the StrategyFirst Action Assessment for Leadership. Or, download the guide described below to learn about the ten proven strategies at the heart of successful business growth.